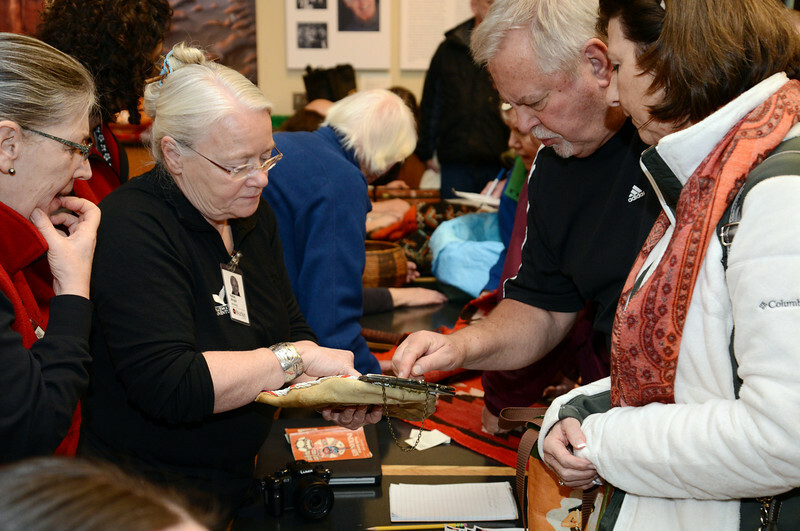 On Saturday February 9, 2013, the annual Artifact Day at the Burke Museum of Natural History in Seattle, WA. Museum attendees were invited to bring artfifacts for evaluation by experts. Past Artifact ID Days have uncovered such rare items as a 5,000-year-old stone tool, a twined basketry doll made by a Tlingit weaver, and a drinking cup made from a walrus’ tusk. Experts evaluated baskets, blankets, and other cultural objects from Native American cultures, the Pacific Islands, and Asia, as well as archaeological artifacts, bones, fossils, and rocks.